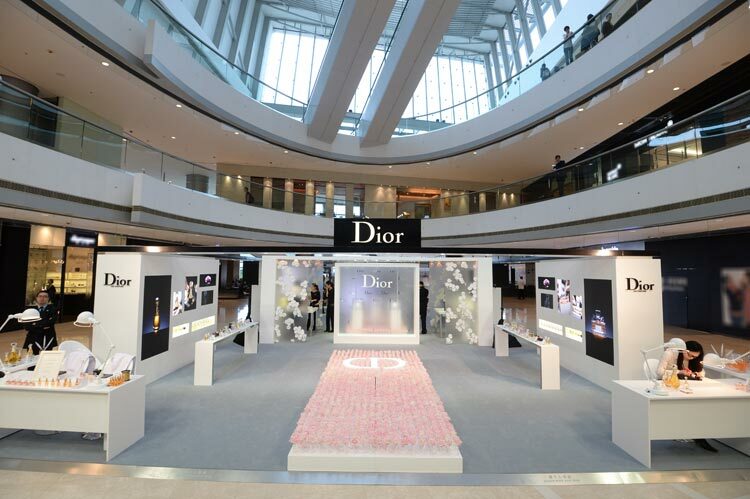 The atrium of IFC was transformed into a beautiful (and fragrant) haven, complete with dainty bottles of Dior perfume acting as centerpieces. 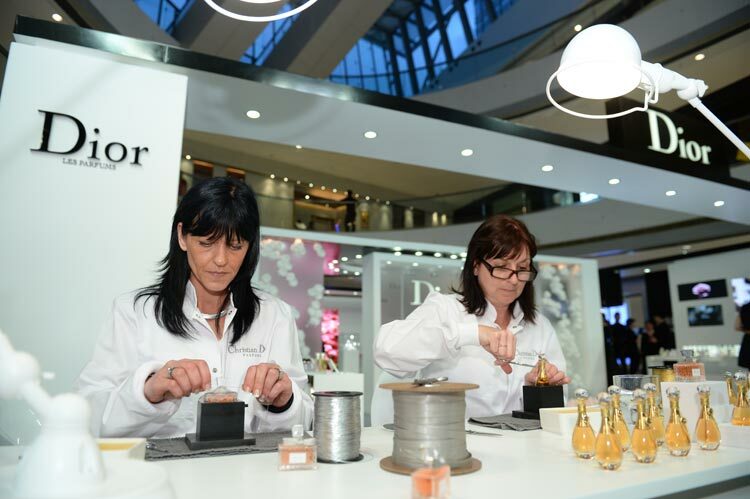 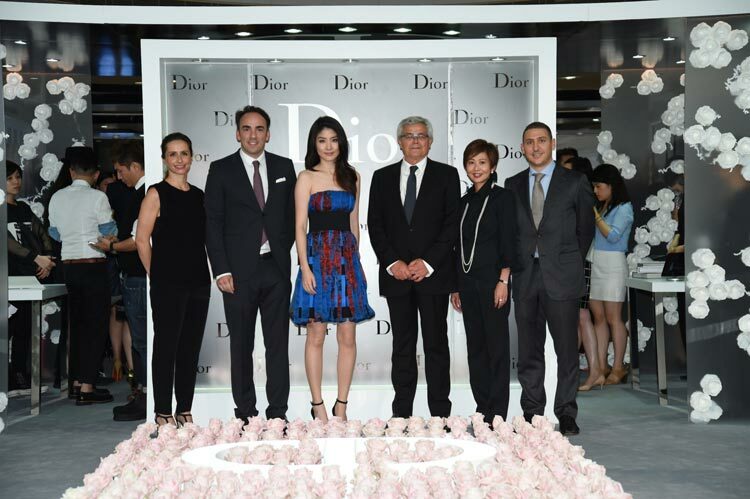 Guests were encouraged to stop, smell and spray themselves with the scent of roses during Dior’s Maison de Perfum exhibition on 22 May 2014. 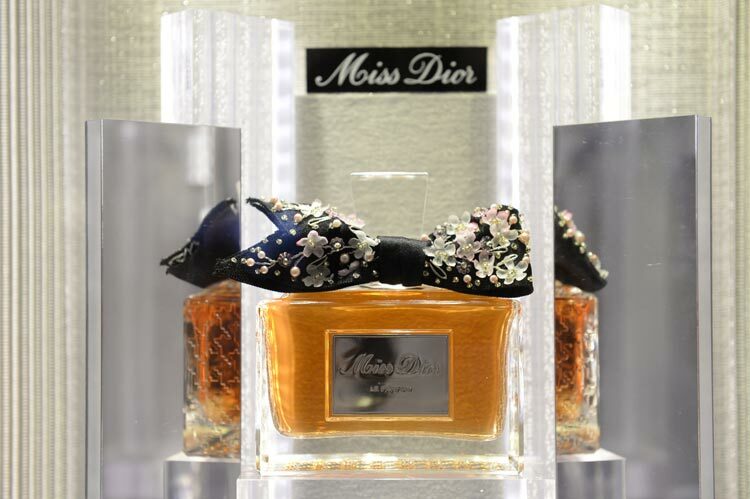 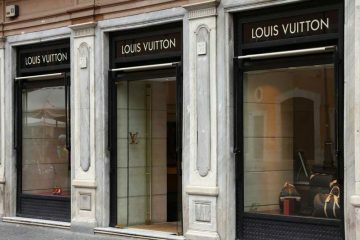 The exhibition, which marks the launch of Dior’s latest luxurious scent, Les Extraits, will run until 25 May. 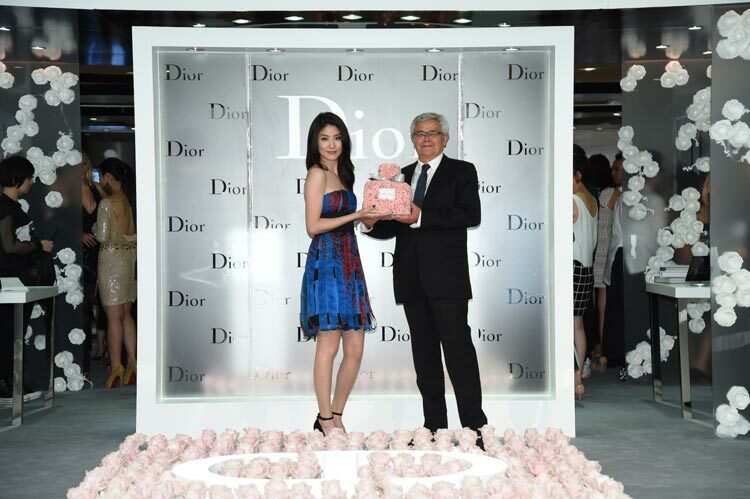 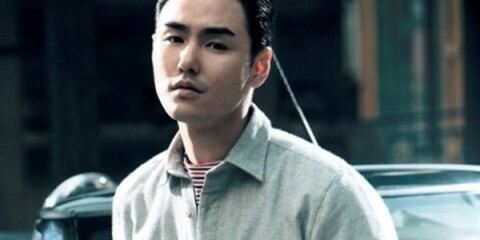 Kelly Chen was the officiating guest; Christine Kuo, Rose Chan, Nicola Cheung, Kam Kwok Leung, Balia Chen amongst other VIP guests were all in attendance to pay tribute to the perfumery art of Dior.